5 stars of awesome acting and directing in the Outback. 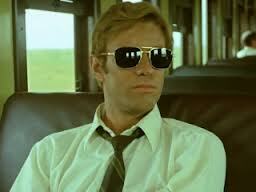 Wake In Fright is fantastically screen written (Evan Jones, Funeral in Berlin) by a person that had never set foot on Australian soil and directed (Ted Kotcheff, First Blood) by someone who knew very little of the continent until he set foot on it to shoot the film. It is taken from the critically-acclaimed best-selling novel by Kenneth Cook, written in 1961. 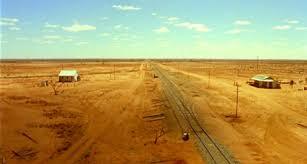 The opening shot of this film shows the desolation of the outback. With only the train track, the school room and the pub/hotel in the whole 360 degree pan, with the blue sky and the constant buzz of flies, you can feel the oppression of the sun and this is a thread all the way through the film. The camera pans into the smallest building, the school house, filled with all ages and at the front is the clock watching teacher John Grant,(Gary Bond, Zulu). School finishes for the six week Christmas break and Grant can't wait to get to his girl in Sydney. He checks out of the small hotel as the train whistle blows, announcing Johns escape from slavery, for six weeks anyway. Being English he believes this and his education separates him from those that aren't from the city. He loathes his job and he wants out, as he is stuck in a government-enforced teaching post and it will take a thousand dollars to buy out his bond. Once on the train and having avoided the other travelers he relaxes and dreams of what the city has to offer. 4 stars for this stylish British sci-fi film. 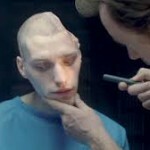 The Machine is written and directed by Caradog W. James (Little White lies) and is set in Britain in the near future. With Britain still gripped by recession and caught up in a cold war with China, tensions are running high and the Ministry Of Defence are looking to create artificial life. What they want are humanoid robots which are intelligent enough to not only fight, but also help out in negotiations and peace-keeping missions and to understand which is appropriate. As the film opens we see our lead scientist Vincent McCarthy (Toby Stephens - Die Another Day, Severance) with his latest creation, another war veteran who has been fixed using an artificial brain. However, the technology is still unstable and results are decidedly disappointing (especially for those who die during the subsequent rampage). Forced to look further afield for help, he finally meets and teams up with Ava (Caity Lotz - The Pact, Battle Of The Year), a beautiful and brilliant young American scientist, whose research provides the missing piece of the puzzle. Vincent is desperately trying to advance the project so that he can give his seriously ill daughter a better chance at life and sees Ava as the perfect tool to accomplish this. 4 stars for this revelation packed documentary. 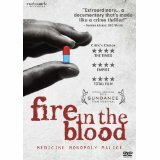 Fire In The Blood is an in depth look at the Western pharmaceutical industry and the way in which it manipulates global availability and costs of life saving drugs to further it's own interests. As narrator William Hurt (The Host, The Incredible Hulk) so neatly states, "If it is true that one death is a tragedy and a million deaths is a statistic, this is a story about statistics." 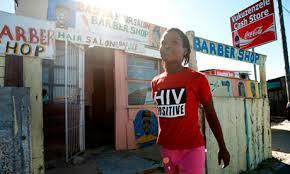 In 1996, with millions of people all over the world afflicted with and dying from HIV and AIDS, finally a light appeared at the end of the tunnel, when a new combination of three drugs, known collectively as anti-retro virals (HIV is a retro virus) was introduced. However, there was a catch. As explained by Justice Cameron, a South African judge who was himself suffering from the disease, the cost of the drugs was equivalent to one third of his judicial salary, therefore well out of the reach of the majority of those in need of treatment. 5 stars of Charming antics in the south of France. 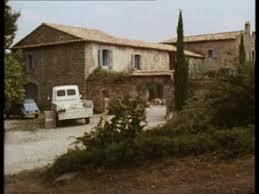 A Year In Provence is based on the fantastic best selling novel by Peter Mayle (A Good Year) and was adapted for TV by the BBC in 1993. 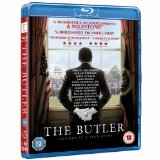 This DVD contains the original broadcast version of the mini-series. It tells the story of Peter Mayle (John Thaw - The Sweeney, Inspector Morse) and his wife Annie Mayle (Lindsay Duncan - Le Week-End, Under The Tuscan Sun), who both give up their jobs in the big city in favour of the sunny and romantic climes of Provence. There, they intend to settle down together in their solid French farmhouse, while Peter writes his novel. A Year In Provence takes the form of 12 episodes, each one representing a month of their first year in a strange country. They first arrive in Provence at the end of December, just in time for the new year, but quickly discover that everything is going to be more complicated than they expected. Read the rest of our review over at Road Rash Reviews. 4 Star conclusion for Kirito and the lost 300 souls. 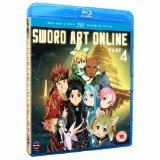 A great end to a great series as Kirito shows us his determined side as he will stop at nothing to log Asuna out of the game, before she is all but married to Sugou; time is running out. 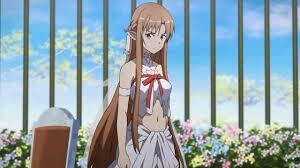 Kirito has to save Asuna from Sugou who has trapped her in a gilded cage at the top of the World Tree in the centre of Alfheim. After deciding not to ally himself with the Salamanders Kirito drags Leafa out of the cave to warn the Sylphs and Cait Siths that General Eugene and his Salamander cohorts are going to try and stop them forming an alliance. General Eugene is considered the strongest player in all Alfheim along with his sword that can phase ethereally therefore bypassing any defences. Available to Buy on DVD and Blu-ray on 31st March. 1 star for this predictable found footage horror film. Written, directed and edited by Evan Tramel, Black Water Vampire follows in the footsteps of films such as The Blair Witch Project and Paranormal Activity, using the actors carrying hand held cameras instead of employing camera men. "Dec 17th 2012, Danielle Mason led a documentary film crew to investigate a string of murders known as 'The Black Water Killings' and interview Raymond Banks, the man convicted of the crimes. 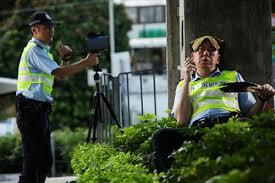 The following footage was recovered a year later." Danielle Mason (Danielle Lozeau - Legion, The Eye), grew up in the area near to Fawnskin, the small town near to Black Water Creek where the bodies were discovered, drained of blood and with bite marks on their necks and strange symbols on their skin. She assembles an unlikely group of individuals, Andrea Adams, the producer (Andrea Monier - Death Connection, Homesick), Anthony Russell, the camera man (Anthony Fanelli - The Next Steps) and Rob Allen, the sound guy (Robin Steffen - Phase 2, The Deadlines). Read what we thought of the film over at Road Rash Reviews. 4 stars for the conclusion to this beautiful time travelling adventure. 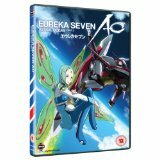 Eureka Seven Astral Ocean tells the story of Ao Fukai and the battle to save the Earth from the Scub Corals and the Secrets. Still working as a member of the Pied Piper Team, a mecha unit of Generation Bleu, Ao is rocked by the surprise reappearance of his long lost mother, Eureka and the potential complications this could cause. It begins to become apparent that no-one is who they first appeared to be, as revelations abound. Truth and Naru seem to develop an unexpected bond, and as the Scub Coral plants begin to reactivate all over the world, the stakes are raised ever higher. Public opinion sways against Generation Bleu as it emerges that they have been stock-piling quartz without anyone's knowledge or permission. And when it turns out that the quartz can in fact operate as a weapon which can change history, hostilities between Generation Bleu and the Allies reach an all time high, the race is on to gain control of the Quartz Gun and it is up to the children of Pied Piper to deal with the situation. Read the rest of the review over at Road Rash Reviews. 5 Stars of Beautiful Blood and Monsters. 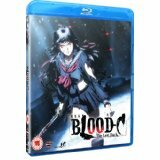 Directed by Naoyoshi Shiotani, (Tokyo Marble Chocolate) Blood C continues one year after the anime series and what he has created is outstanding, as we are taken through the horror of humans and the agreement some of them have with the horrors that lurk in dark places. From the outset you will be impressed by the animation and backdrops. Saya has travelled to Tokyo to find that there is a curfew on the under 20's and nobody is aloud out after 9pm and the internet has been heavily restricted. She feels a presence as she travels on the underground as a man transforms into a horror, (furukimono, the Old Ones) and starts devouring the passengers. Available to Buy on DVD and Blu-ray on the 24th March. 4 stars for this excellent blast from the past. 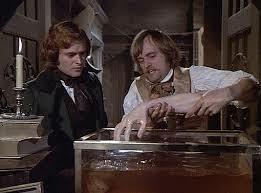 Frankenstein: The True Story was first released in 1973 as a two part mini-series. It is based on the novel by Mary Shelley and was adapted for the screen by Christopher Isherwood (Cabaret) and Don Bachardy. This is an interesting version of the story, which does bear many similarities to the original story and with no shortage of renowned actors involved, it was always sure to be a hit. Victor Frankenstein (Leonard Whiting - Romeo and Juliet, 1968) is distraught at the death of his brother and vows to his fiancee, Elizabeth (Nicola Pagett - Anna Karenina) that he will gain power over life and death. After a chance meeting with Dr. Henry Clerval (David McCallum - The Invisible Man, The Man From U.N.C.L.E. 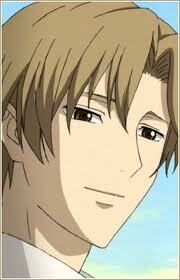 ), a surgeon who is researching just that very thing, they begin to work together to reanimate a human male. 1 star of laugh out loud fun for this cult horror classic. It feels harsh only giving one star here, but given the sheer number of good films out there and the fact that even though this is very entertaining, it really is quite rubbish, it seems only fair. The Stuff was originally released in 1985, written and directed by Larry Cohen (Phone Booth, Cellular) and is quite refreshing in it's approach. It is reminiscent of Invasion Of The Body Snatchers, only with Dream Topping (other whipped cream substitutes are available) instead of aliens. When a security guard discovers a strange goop emanating from the ground, he does what any self respecting idiot would do and tastes it. Imagine his surprise (and mine) when it turns out to be not only delicious, sweet and tasty, but also low in calories and very moreish. The ideal product for the marketing people, i.e. Nicole (Andrea Marcovicci - The Hand, The Front). 5 Star Service to a Country. A Brilliant Film from the pen of Danny Strong, Seabiscuit, Buffy the Vampire Slayer, and the Superb Direction of Lee Daniels, The Paperboy. Starting in the 1920's with Earl Gaines, (David Banner, 2Fast 2Furious) working as a sharecropper on a cotton farm run by the Westfall's explaining to his 8 year old son Cecil, (Micheal Rainey Jr, LUV) the ways of cotton farming when one of the Westfall's comes along and takes his wife off to be raped, all done casually as the white-mans whims take them. Cecil is confused that his father isn't doing anything about it. But when he does go to stand up to him he is nonchalantly shot dead. Available to Buy on DVD and Blu-ray Now. 3 Stars of Corporate Cut Throat Action. Or just really annoying people. 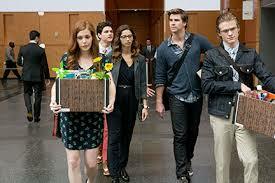 Adam Cassidy (Liam Hemsworth, The Hunger Games) is entry level tech working at Wyatt mobile. 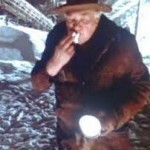 He crosses the bridge from Brooklyn to pay the rent and medical insurance for his ailing father Frank, (Richard Dreyfuss, Jaws). 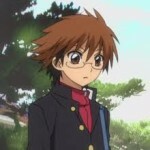 But he finds out that his father isn't covered when he takes a turn for the worse due to his stubborn nature. With a $40,00 bill that's not covered, he has to step up his work ethic. After working with his team for the last 6 years they finally get to make a pitch in front of the big cheese, Nicolas Wyatt (Garry Oldman, The Dark Knight). But due to his inherent stubbornness he tells Mr Wyatt some home truths about his separation from the youth market. Available to Buy on DVD and Blu-ray on 10th March. 3 Star High Octane Kowloon Driving. From the director that brought us Dog Eat Dog, Pou-Soi Cheang, this offering of street and mountain road chases, showing off the impressive driving skills that thrill young men, but this as a film just doesn't hit the top spot as a full movie. Cheung, (Shawn Yue, Initial D-Drift Racer) is a young and impatient police officer in the East Kowloon Stealth Squad, implemented to catch the illegal street racers. Along with his seasoned partner Lo, (Anthony Wong, Hard Boiled), nearing his retirement Lo takes life at a slower pace than his young partner. As Cheung thinks that it his old, rather than, 'been there done that and sold the T-shirt'. Available to Buy On DVD 10th March. 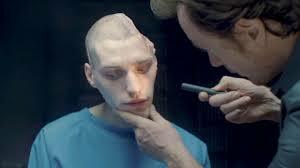 4 stars for this unusual and imaginative sci-fi film. 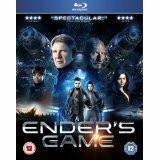 Ender's Game is written (screenplay) and directed by Gavin Hood (X-Men Origins:Wolverine, Tsotsi) and is based on the best selling novel of the same name, written by Orson Scott Card. It is set in a world where humanity is reeling from an attack by a race known as the Formics. Having been saved only by the heroic actions of one Mazer Rackham (Ben Kingsley - Schindler's List, Gandhi), the army are more than keen to recruit what they believe to be their biggest asset, a generation of children who have trained in military and fighting techniques and strategy using computer games. 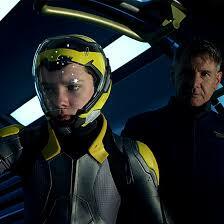 Enter Ender Wiggin (Asa Butterfield - Hugo, The Boy In The Striped Pajamas), a highly skilled gamer who is chosen for entry to Battle School by Colonel Graff (Harrison Ford - Paranoia, Indiana Jones). He is the only member of his family to make it this far, his brother having washed out for excessive aggression, and his sister, Valentine (Abigail Breslin - Little Miss Sunshine, Signs) failing due to her compassion. Read what else we thought about this great new film over at Road Rash Reviews. 4 Star anime of Spirits versus Human versus Spirits versus Spirits. Based on the successful manga by Hiroshi Shiibashi. Beautifully drawn and animated, this is a series that grips and holds on. I will be getting the first series for sure. One for the DVD Collection. 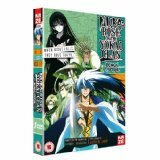 This is the tale of young master Rikuo Nura as he plays at the family's ancient clan headquarters, playing pranks on the people that live there. At 8 years old he doesn't have much to worry him apart from the memory of seeing his father killed by a mysterious young girl. What he regards as normal is not what the rest of the country regard as normal. As he attends school a classmate gives a speech on how Yokai eat children's livers and send them to hell. Rikuo protests their innocence but this mainly falls on mocking ears. Starting at episode 35 - 64 this takes us through to the conclusion of the baby saga, super android 17 and the finale, Shadow dragon Saga. 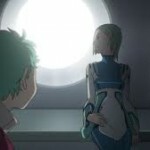 Its packed full of the dramas of planet saving. The struggle to save the planet Earth rages on as Baby controls Vegeta and Goku transforms into a Super Saiyan 4, with his new powers he is able to rival those of Baby. Baby gets help from the taken over Bulma and she creates a machine that turns Baby in to a super Saiyan ape who starts destroying his own planet and people. He does this for the fun of it and tries to destroy the nearby Earth with a Super Galic Gun. 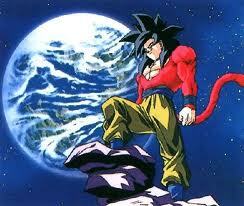 Goku gets in the direct path of his second shot stopping the planet blowing up. 4 stars for this exciting tale featuring everyone's favourite Ninja. 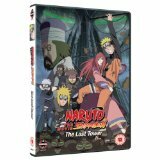 Naruto Shippūden Movie 4: The Lost Tower is a stand alone story about our hero Naruto Uzumaki, a young Shinobi from the Hidden Leaf village. Naruto and his team mates (Yamato, Sakura and Sai) are dispatched to the ruins of Rōran, a once great city, in order to stop Mukade. His goal is to tap into the ley line beneath the city, thus giving himself an almost limitless supply of Chakra with which to power his puppet Jutsu and create an army. After an explosion at the ley line, Naruto is swallowed by a bright light and when he awakens, finds himself alone and in an unfamiliar place. 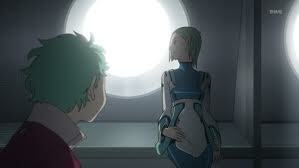 He spots a young girl, but she runs away and closes the door behind her, leaving him trapped underground. He climbs out only to find himself in a strange city with huge towers, and surrounded by large numbers of puppets. 2 stars for this strange non entity of a horror film. Devil In The Woods is written and directed by Darren Lynn Bousman (Saw II, III, IV) and was originally released in the U.S. under the name "The Barrens". It tells the story of Richard Vineyard (Stephen Moyer - True Blood, Quills), a father wanting to bring his new family together and help his children, Sadie (Allie MacDonald -House At The End Of The Street, Stories We Tell) and Danny (Peter Dacunha - Mistletoe Over Manhattan) to bond with his new wife Cynthia (Mia Kirschner - The L Word, The Black Dahlia). 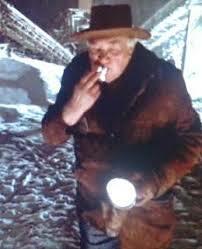 In true horror film tradition, he decides the best way to achieve this would be for them to go camping in the "Forest Of Death and Blood", known in this case as the Pine Barrens. Local legend has it, according to the tales told around the campfire, that the woods are stalked by a devil creature, wings, claws, teeth, etc. Armed with this information, Richard decides to take his family deeper into the woods where they happen upon a campsite featuring a dead dog tied to a tree and a shredded tent. This is, of course, the ideal place to set up camp. 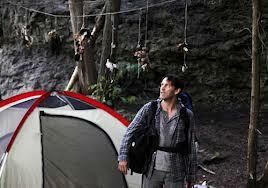 As Richard becomes sick, he and his family are forced into a desperate struggle for survival. © 2010-2012, Coyote Productions. Awesome Inc. theme. Powered by Blogger.